We have completed the signing of Grant Anderson from Hamilton Academical. 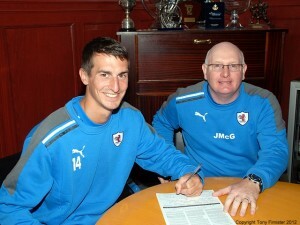 The 26 year old midfielder spent last season at Hamilton joining from Stenhousemuir at the start of last season. Grant is the fourth new signing in preparation for next season.